In the concrete jungle of New York City agriculture is sparse but Brooklyn Grange have developed the worlds largest rooftop soil farms which produce over 50,000 lbs of organically cultivated produce per year. Ben Flanner, President and Director of Agriculture, joins me on the show today as we discuss his circuitous route to farming, how two rooftop farms can supply some of New York City’s finest restaurants including, The Spotted Pig, Gramercy Tavern, and Roberta’s, and how his early years in consulting and financial management have impacted his farming practices. 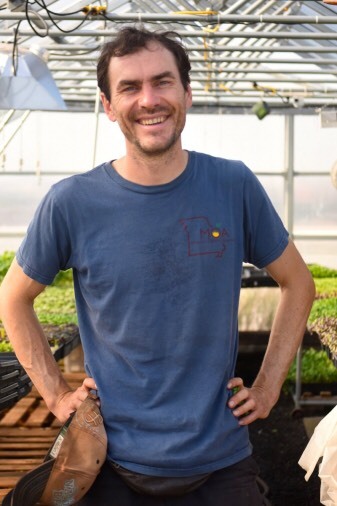 agriculture Ben Flanner Brooklyn Grange farming organic Patrick McAndrew President and Director of Agriculture rooftop soil farm Sustainability Why Food?